Jay Pulley was hired by USS in 2013. He is responsible for residential structural repair projects. His favorite aspects of USS are the work environment and the people he works with. Jay lives in Erin, TN with his child, two dogs and a cat. 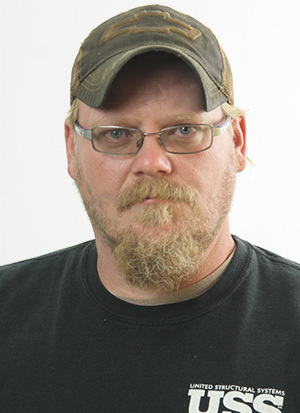 He enjoys fishing, 4-wheeling and spending time with family.